I am happy to bring you an exciting post this week that has been in the works for a while– an interview with Superstition Review interns from previous semesters. Here’s what they had to say about what they’re up to now, how SR helped them get there, and what they wish they had known when they were interns. Enjoy! Superstition Review: What have you been doing since your internship with Superstition Review? 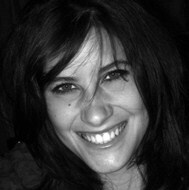 Sara Scoville: After graduating from ASU in May ’09, I have continued to conduct research for a collection of essays I’ve been working on since my last semester. The topic focuses on interaction and the relationships that form in the online gaming community amongst alpha males. I also work full time as a supervisor at a direct marketing company. Melissa Silva: I’m now applying to work as an intern for Nordstrom. As a Capital Scholar, I’m applying to work for NPR and other media outlets in DC this summer. Riki Meier: I’ve been working full-time at ASU during the day, and also taking a few independent study courses. Late last fall, I completed several graduate school applications, and I’m excited to say I was just accepted into the English PhD program at Tufts University! They are offering me full funding for five years. I’m absolutely thrilled as I know Tufts has an excellent program and I also love the Boston area! Carter Nacke: Since working at Superstition Review, I have turned my focus to graduating. I’m pleased to say that I’ll be graduating in May with a degree in Print Journalism from the Cronkite School. Alex Linden: Since my internship with Superstition Review, I finished my last year at Arizona State and applied to MFA programs for Poetry. I now attend Oklahoma State University and this semester will finish the first year of my MFA. SR: Do you think your experience with Superstition Review has helped with what you’re doing now? How? SS: I believe it most certainly has. I’ve worked for the same company for 12 years, so it was definitely nice to do something different. Trish is an amazing person and I absolutely loved learning from her! One thing that I appreciated most about her is the amount of trust and faith she had in me. It’s because of her belief in my abilities that I have a stronger sense of confidence in both my writing and professional life. MS: Experience with publishing and Excel I think has helped reassure companies that I’m qualified to work for them. RM: I do think that my work at Superstition Review helped my admission chances at Tufts, as Tufts has a reputation for wanting well-rounded (and diversified) applicants. Although I am going for a research degree, I think the fact I worked as an editor at a national literary magazine demonstrated that I don’t have only an analytical mind; I have a strong creative inclination as well. CN: I think my experience did help. While I was in charge of financing and fundraising (which I’d never done before), SR helped me learn to balance work and school. I also saw first-hand how magazines are produced, which is extremely helpful for my magazine writing class. AL: My experience with SR has definitely helped with what I do now. I believe my chances of getting into MFA programs would have been much less had I not done the internship. More importantly, I was exposed to the literary world and inspired to pursue similar work in the future. I now read for the Cimarron Review. SR: Is there any advice you’d like to give current Superstition Review interns? SS: Have respect for everyone involved throughout the entire process. Ask for help if you need it, and be willing to help if someone needs you. The success of the issue is dependent upon every single intern, so open lines of communication are of the utmost importance. Also, be proud of and enjoy what you’re contributing to the literary community. MS: Work hard and try to learn as much as you can. I learned a lot about communicating professionally online and using Excel. RM: For the current editors soliciting work from writers, I would say that one should approach soliciting writers like they should approach applying to graduate schools. One should have a number of “long-shots” writers on the list that one dreams of publishing, but the chances of publishing that person may be slim. Soliciting someone like Toni Morrison or Salman Rushdie may be analogous to applying to graduate school at Princeton or Harvard. If you diversify your solicitation list, you have far greater chances of getting lots of great literary pieces for review! CN: Current interns: Get your stuff done early. Take it from someone who knows, assignments and work can pile up on you before you know what’s going on!